Alert the Media! Mother’s Day Discount Code of 20% off! Mother’s Day is coming soon and you probably have a person in your life that will be celebrating! Many people feel a lot of pressure to find the perfect gift and when that recipient is vegan, it may feel even more challenging. There are lots of directions to go, but I think a gift that lets her passion shine through is always a great one. 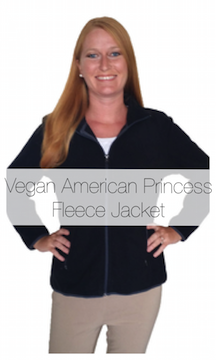 The Vegan American Princess Store is your first and last shopping stop! Treating her like a princess will make her feel special on this day and these items keep that feeling going all year! 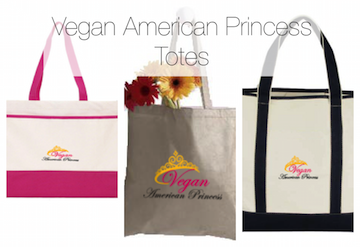 Shopping in the Vegan American Princess Store couldn’t be easier! Our logo comes in an embroidered style with our lovely bold and playful colored threading on dark or light fabrics or printed on with laser-precise machinery. High quality fabrics and garments make this items fun, funky and useful, giving pleasure for years to come! Check out just some of the great items….. 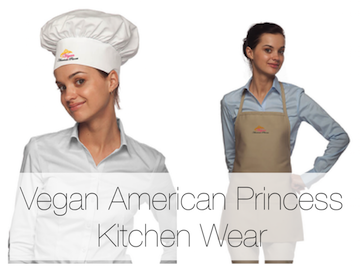 Most vegans love to cook or at least look good while trying—an apron and chef’s hat with the Vegan American Princess logo will definitely be a hit! 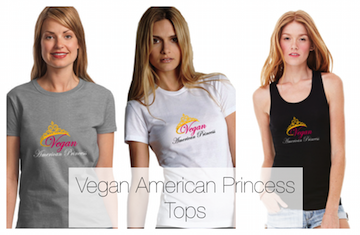 Why not a casual, stylish top with the elegant Vegan American Princess logo? A tote bag for groceries or for the beach is a super practical gift for any woman! 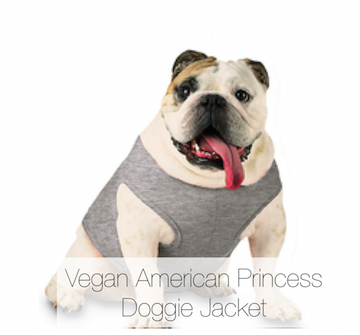 If the vegan in your life has a pet that she just loves to bits, then a logo’d doggie jacket will bring laughs and love to the day! Everyone needs a variety of caps and beanies to get them through the day, at the gym or to wear at the game. 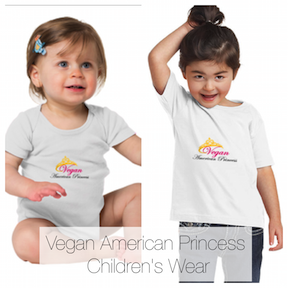 What could be cuter than an animal-loving child wearing her adorable Vegan American Princess t-shirt? Seeing a baby in the logo’d onesie is sure to put smiles on everyones faces! And more! Tablet Covers…Fleece Blankets…Sweatshirts….Half Aprons…take a look! 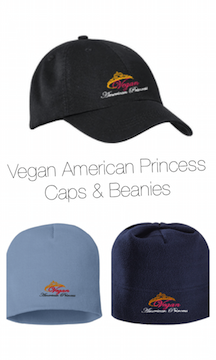 There are many more items than only the ones pictured here, so go on the website, Vegan American Princess Store, and check out all the styles and colors! If there’s something that you want that you don’t see, chances are that we can get it! All our products are Italian-inspired, 100% Vegan and PeTA Approved. In addition to men’s and women’s shoes and wallets, we also offer interchangeable canvas bags set in vegan leather frames. Our wallets, credit card cases and passport holders all offer RFID identity blocking technology. Kindly visit our website and let me know if you have questions or would like to feature our line on your site. We can send you high res images if you need them. 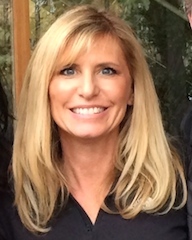 Thank you for writing and commenting! Your website looks very interesting! It’s great to see how many quality vegan products are out there! We would love to know more about your company!